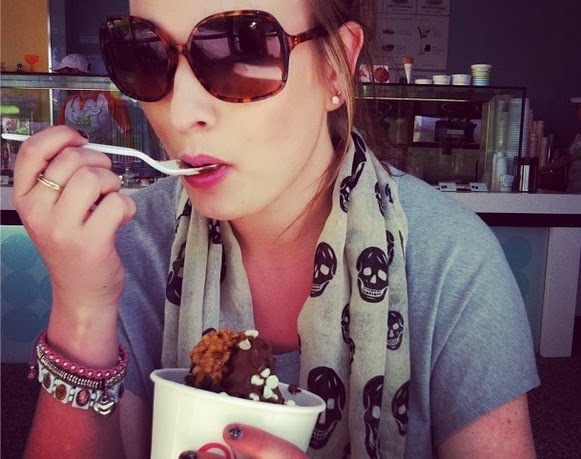 Kirstie's Travel Diaries #12 : Pinkberry , Chinese Theatre, Million Of Milkshakes & The Grove. Catch up with #11 here. 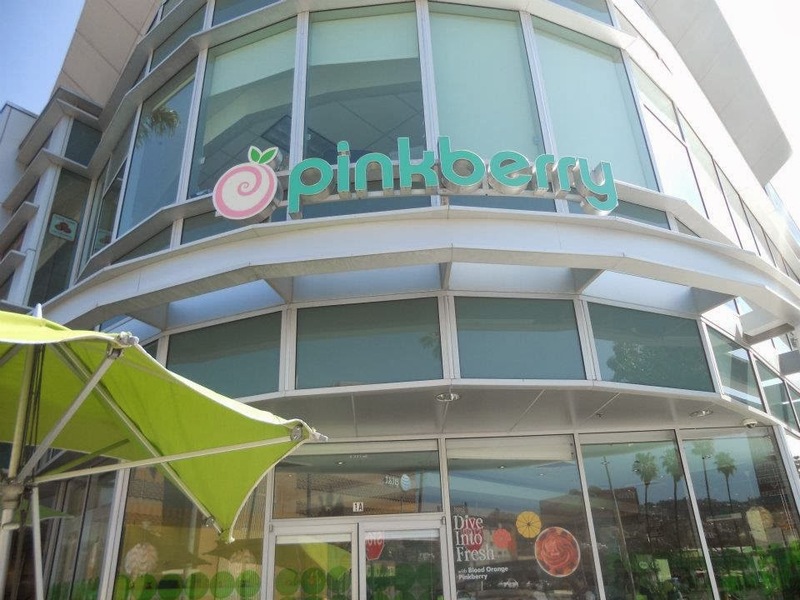 It was a Sunday and we had no plan at all apart from.... find Pinkberry! It was somewhere we had wanted to go to since arriving in the US and it was down to my iphone and google maps once again to point us in the right direction! And it worked - we were in frozen yogurt heaven in no time at all! 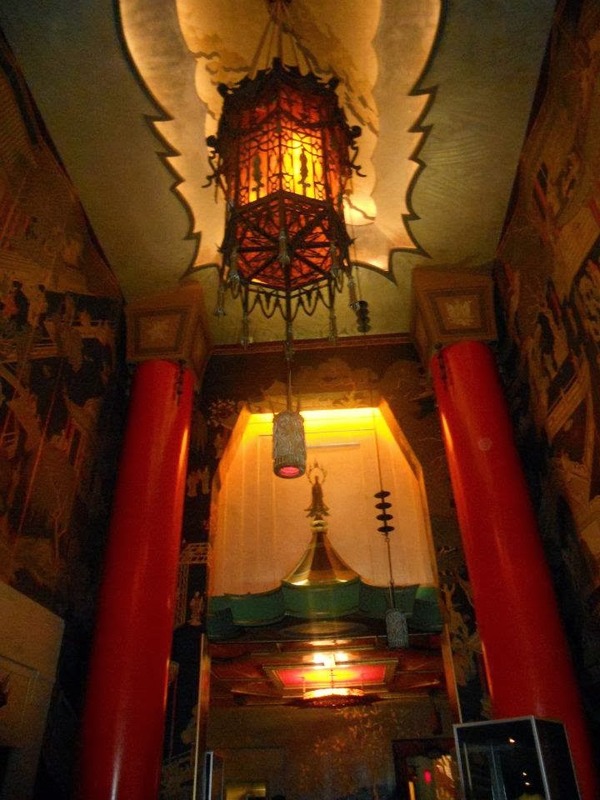 After filling ourselves with sugar goodness we thought we'd head back towards our hotel and see if we could have a look around Grauman's Chinese Theatere as so far all we'd done is see the hand and foot prints outside - nothing more. Luckily there was a tour that we didn't have to wait too long for so before we knew it we were in and on the tour. 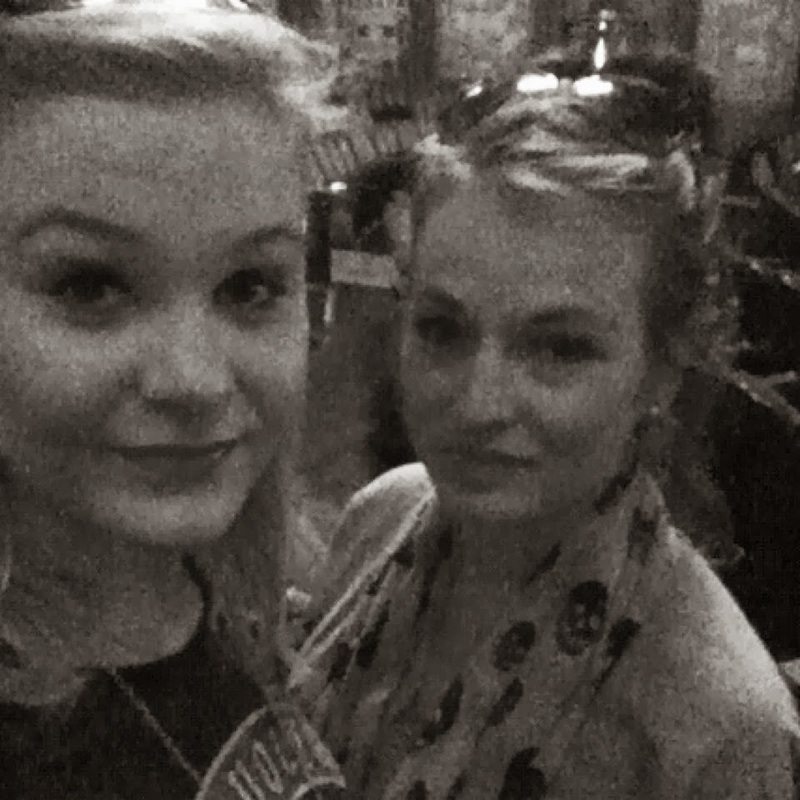 We had a lovely Australian woman showing us around (I feel like her name was Claire... but I may be wrong!) she explained so much and gave us so many different facts and stories - it was so interesting! 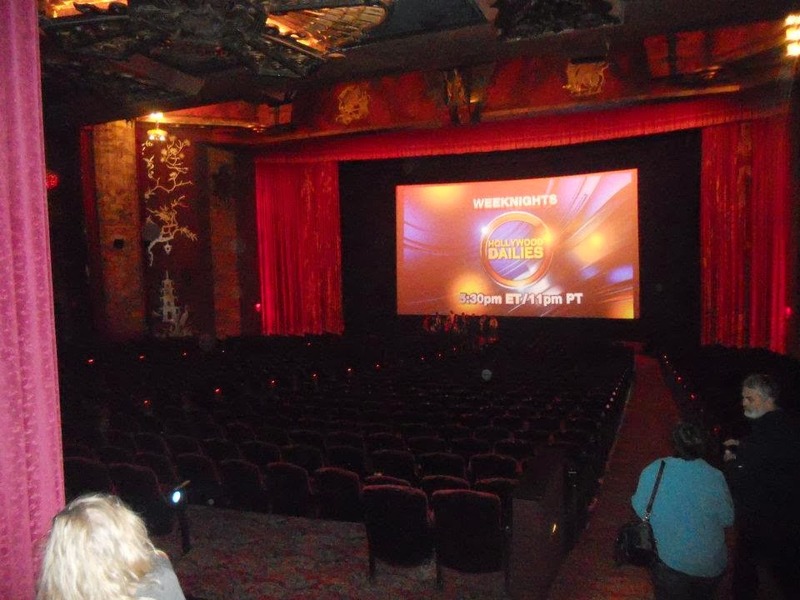 Knowing all the amazing events, premieres and people that had been inside this little theater was insane and I love all the imprints outside - it is iconic. 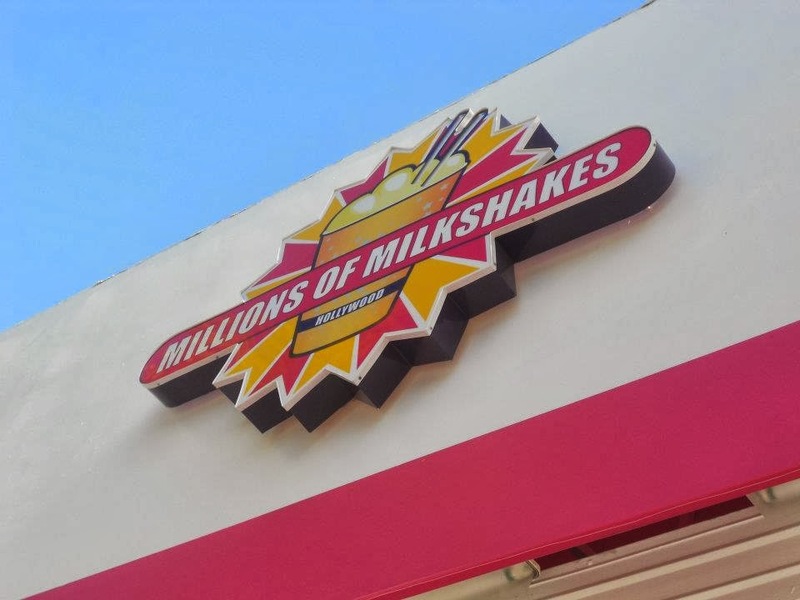 After this we felt at a bit of a loss of what to do, somewhere else we had wanted to check out was Millions Of Milkshakes - a whole place full of celebrity milkshake creations, who wouldn't want to go?! So we had a look at the number of tours that were running from Hollywood Blvd and decided that a hop-on hop-off tour of the city would be perfect for us! Jump on and off where you fancy and there is always a bus on it's way - a max wait of 20mins! We chose the red route (can't rememeber what the difference was with the others) but we hopped on and started a mini adventure! The main thing I remember about these buses was the awful fake British accent of the guide - it was pre-recorded and obvousl just on a loop... but it was awful! First stop we hopped off was just down the road from Millions Of Milkshakes - perfect! This place is actually tiny on the inside - saller than I thought it would be - I choose the Miley Cyrus milkshake - Reece's peanut butter cups and cookie dough.... A-mazing! 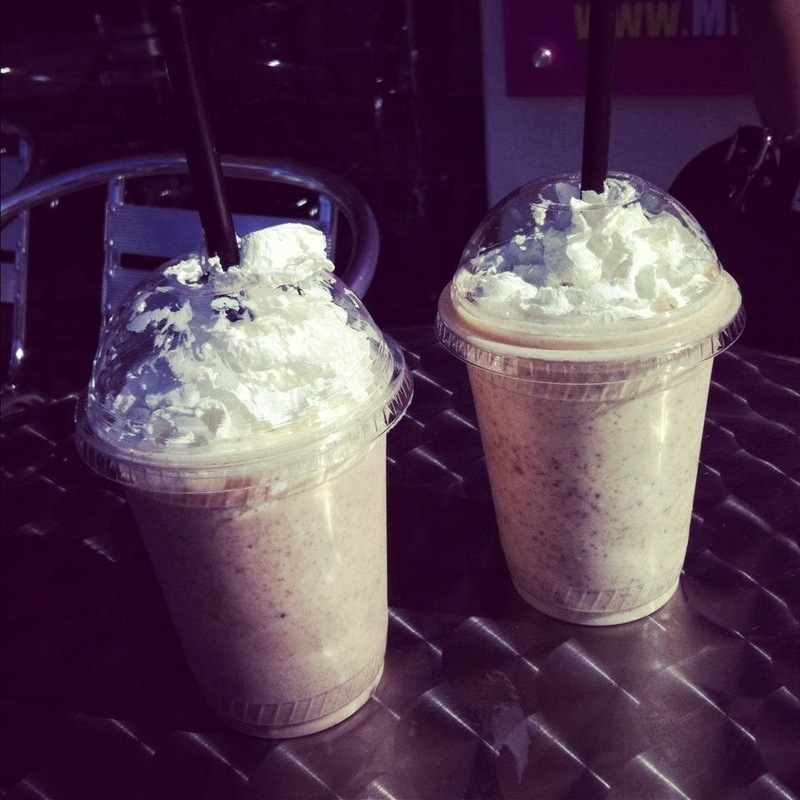 We sat outside in the sunshine and enjoyed our celebrity milkshakes and thought that we might aswell head back to the bus stop and carry on with the tour - we wanted to see as much as we could in that short afternoon! As we were on the way to the bus stop we actually got stopped by Girl Scouts selling..... girl scout cookies! This was a no-brainer , we were here in LA, in America, of course we were going to buy some! And they were yummy! We went through Rodeo Drive and Beverly Hills but as we'd already seen it and thought we probably couldn't afford to head round the shops in that area we decided to stay on the bus and get off at the next stop - The Grove. 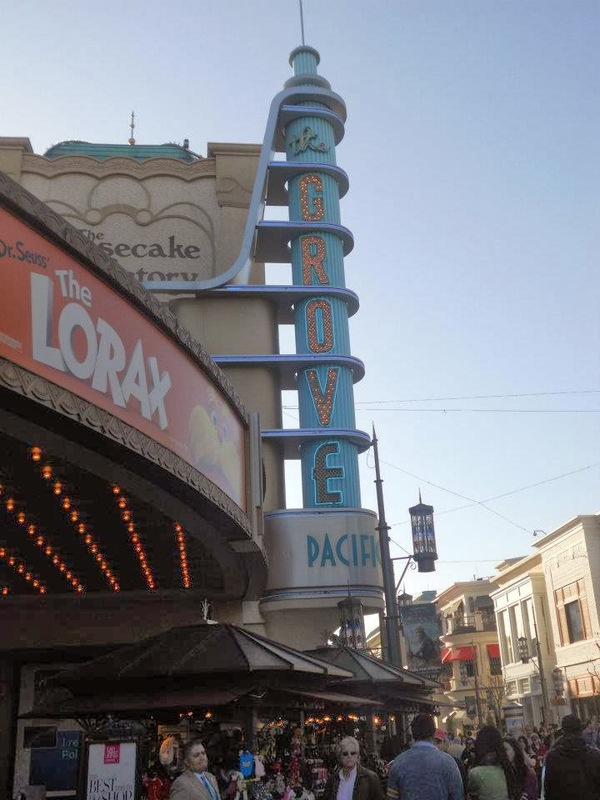 The Grove is somewhere I've always wanted to go - seeing celebs there, youtubers there - I just wanted to go there and check it out! We headed into shop heaven - including a Barnes & Noble which I was so excited to have a look round, my friend found Katy Perry's perfume which wasn't yet out in the UK and we both had been on search for and generally ... just had a bloody great time! But it wasn't long until time was ticking and it was time for us to get back onto the bus - this time knowing we were heading back to our hotel! But on our way we spotted lots of exciting things - anything in Hollywood is exciting right?! 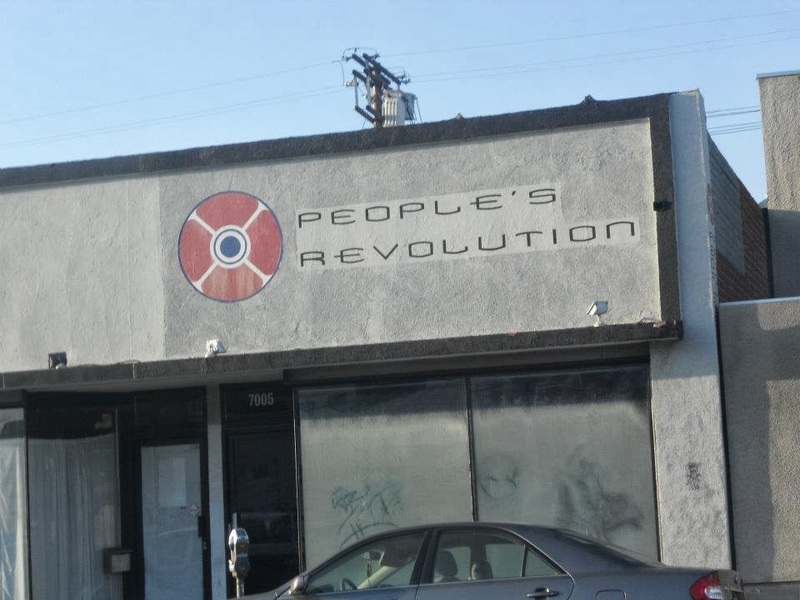 If you are a fan of The Hills like us you will know how cool it was to spot People's Revolution! With an exciting day ahead of us the next day we decided to have dinner and an early night! Another day down! NEXT POST : We go on the Tonight show with Jay Leno!!!!!!!!!!! A highly exciting day! Pinkberry is AMAZING. Looks like y'all had such a blast! Oh, and I need to try that milkshake... sounds insaneee. Have fun at the Jay Leno show!!! 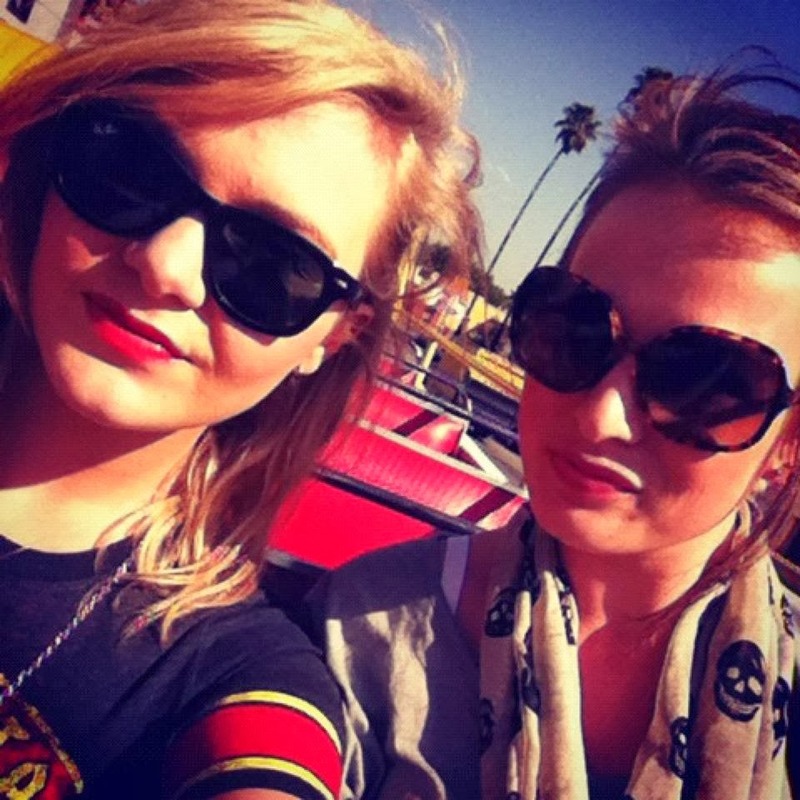 Omg it looks like you're having the time of your life, so jealous! 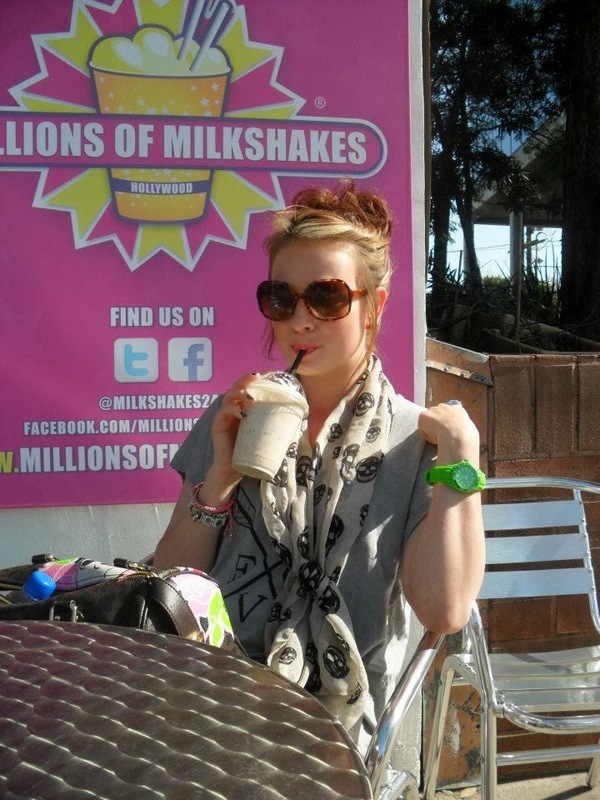 Millions of Milkshakes is delicious as well-although I haven't tried the Miley Cyrus shake!